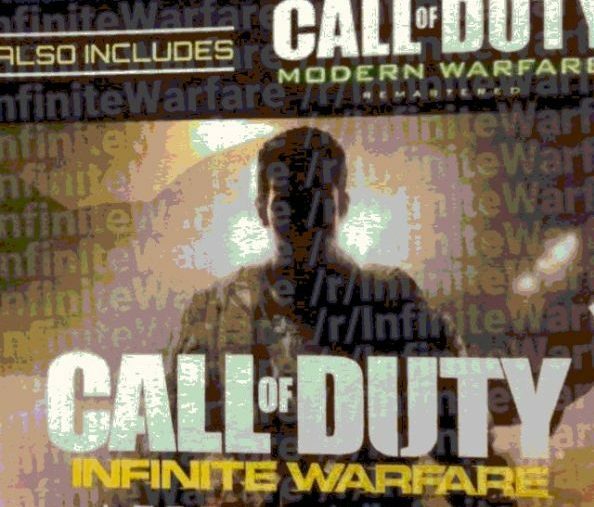 Update: A purported packshot has appeared on Reddit, confirming the name, release date and that Infinite Warfare will include a copy of Modern Warfare remastered. 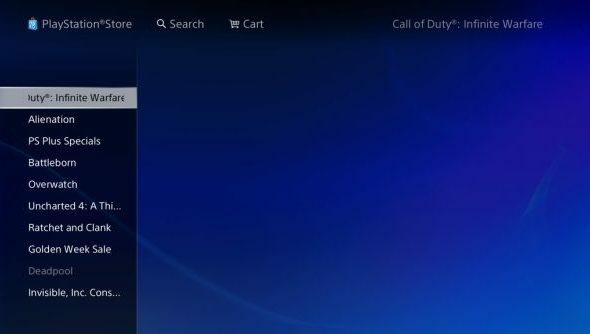 It’s all moving quickly in the world of Call of Duty leaks, as a screenshot of a snapchat of a blurred, half-obscured (stay with me) version of what looks like retail point-of-sale displays has popped up on Reddit. It confirms the name, adds a release date of November 4 and says that the Legacy Edition – presumably some sort of premium version – comes with a remaster of Call of Duty: Modern Warfare. There’s an infinite amount of quality in our list of the best FPS games. Posted by fittingly-named user InfiniteWarfareLeaks on Reddit, it would be an impressive amount of work and typeface-copying to be a fake. It matches previous reservation cards and uses consistent logos and spacing with previous titles. The big news here, of course, is a remaster of Call of Duty’s most famous release. The question becomes exactly how complete it will be – presumably things will be up-rezzed a bit and use higher quality versions of original textures, allow for higher resolutions and so on, but will they include multiplayer? Getting all of Call of Duty’s millions of fans to switch from one game to the next is hard enough, giving them two at once (one of which is the most-loved game in the entire series and still held up as the best one by plenty of old-timers) is only going to split that more. If you don’t, you’re remastering a game without bringing back the part that made it so famous, as much as I enjoy MW’s campaign. Original story:Via the magic world of the PSN store, the name of the next Call of Duty has been revealed, as spotted on Reddit and seen above. Taking the namesake of development studio Infinity Ward, for whom this will be the first CoD since the quite poor Ghosts, Call of Duty: Infinite Warfare is expected to be shown off proper at E3 and released in the usual slot this winter. While few details beyond it definitely existing are known, the name does match rumours that it will be set in a further-flung future than the series norm, laser-beams and all. Or, perhaps, they’re finally embracing an endless number of fish. The news comes out of a Reddit thread, and some are speculating that due to the similarity in name between the series’ progenitor and game that it could be the long-rumoured remaster collection of the franchise’s most loved older games. However, considering it’s been confirmed that Infinity Ward are working on this year’s version, it would be quite odd. It also follows the Modern to Advanced naming convention of previous titles from Infinity Ward. So, how well will a sci-fi rather than near-future Call of Duty work? Can it stand up against the likes of a new Battlefield and Titanfall, both planned for this year? Can Infinity Ward improve on a fairly dodgy track record in recent games with the newish three year dev cycle? All these answers and far too many more come E3, which is just a few weeks away now. Sony get the COD announcements now, so expect it during their conference, which is yet to receive a confirmed date and time.